There is an urgent need to foster the holistic development of children in our society. However, although there are few programmes that advocate this through health, education and the welfare and safety of children. Lesley-Ann Nelson, the founder/President of Save Our Children Foundation and founder of Kids' Chess Academy, sees the need to do more . Nelson, a community educator and religious director, has merged her two vocations - teaching kid's chess and her work in empowering and building healthy productive lives in disadvantaged children and those affected by HIV/AIDS through the Save Our Children Foundation. "Chess encourages critical thinking. If one would transfer that same critical thinking used in playing chess, through other areas in their lives, it would aid in making wise choices and by extension assist in the holistic development." The ides is to create the perfect spring board in helping to improve the lives of children mentally, emotionally, physically, intellectually and spiritually, so they can reach their fullest potential according to Maslow 's law.There are many ways to develop children. However, Nelson chose chess - Why? Chess has long been regarded as a game that can have beneficial effects on learning and development, especially when it is played from a young age. According to Nelson "Chess encourages critical thinking. If one would transfer that same critical thinking used in playing chess, through other areas in their lives, it would aid in making wise choices and by extension assist in the holistic development," Nelson explained. "This is why it is necessary to integrate chess with the work I do through the "Save Our Children Foundation". Nelson insists that by incorporating chess as an extra-curricular activity for children, in our schools and communities it would aid in the pursuit of excellence. 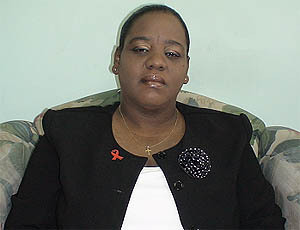 Speaking on her responsibilities within the Save Our Children Foundation, Nelson said it is a non- governmental organization mainly geared towards facilitating research programmes towards holistic development of our nations' children , which includes children who are affected by HIV / AIDS or who have lost parents to the disease. Taking her passion for assisting children further, Nelson will host the foundation's 1st AIDS Benefit Dinner on November 30, 2007, at the Centre of Excellence, Macoya, at a contribution of TT $600,as an initiative of KIDS Chess Academy to raise funds for Save Our Children Foundation works and worthy cause to commenmorate WORLD AIDS Day 2007-"STOP AIDS-KEEP THE PROMISE." Nelson has also invited Josh Waitzkin, an international public figure from New York who dominated the Scholastic Chess world for a period of years, later earning the title of International Master. Josh Waitzkin is also the author of "The Art of Learning", which discusses his personal achievements and shares the principles of learning and performance that have propelled him to the top. The book provides the key to the learning process in a practical way. Other special guest at the dinner will be known chess celebrities of Trinidad and Tobago, such as our recent Candidate Master Ronnie Nelson Jnr., Fred Sabga, and other sports personalities. According to Nelson, "I have collaborated with Josh because he has proven that chess can have a positive effect on the holistic development of the person and one can attain their goals in life in applying the strategic principle of the game". There will also be a seminar conducted at Ambassador Hotel. Participants will have the opportunity to meet Josh Waitzkin, as he will discuss his book, and give insights on how he was able to be successful. 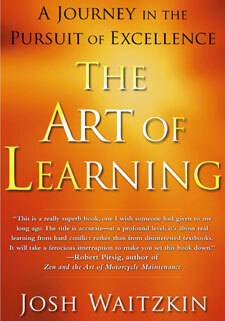 The seminar is aptly themed "The Art of Learning," In the the Pursuit Of Excellence". -Forming Intelligence Today .Participants are invited to register for the seminar before November 12. "The seminar will be beneficial for educators, sports directors, councillors, community leaders, youth leaders, students, chess players, parents and all who are interested in progress," Nelson explained. Nelson is calling on corporate Trinidad and Tobago to come forward to assist with the venture, since she says that there is much to be done in the lives of children.